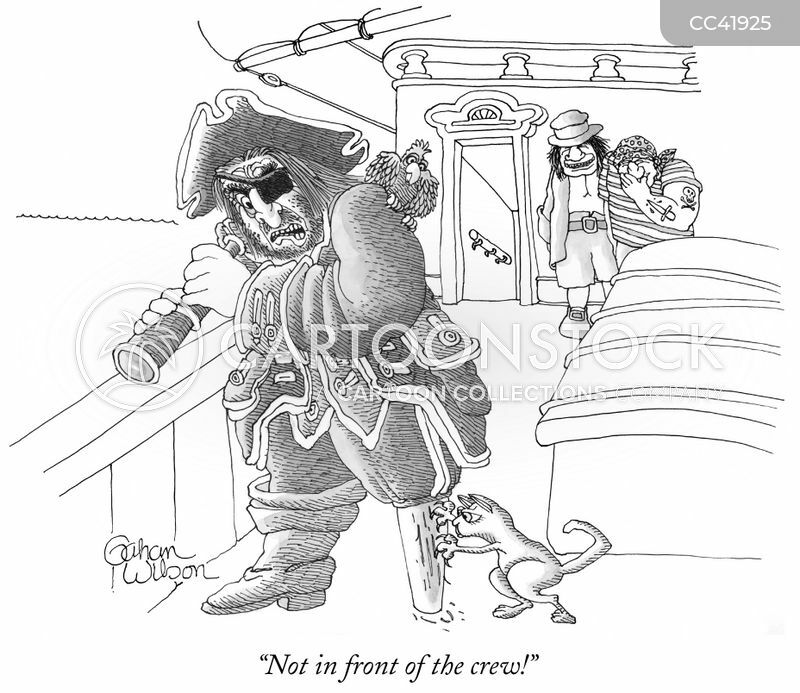 "Not in front of the crew!" 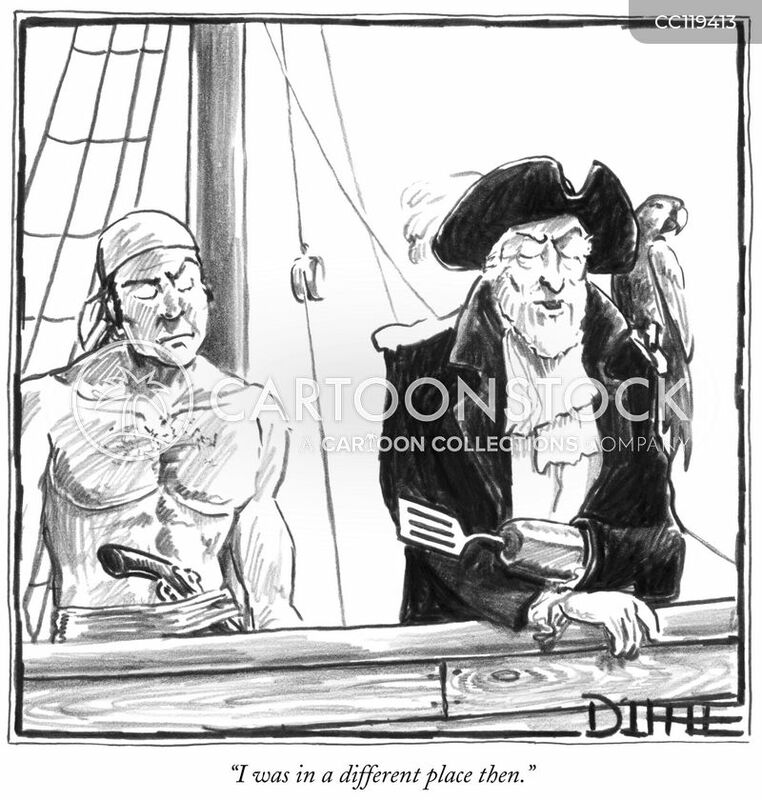 "I was in a different place then." 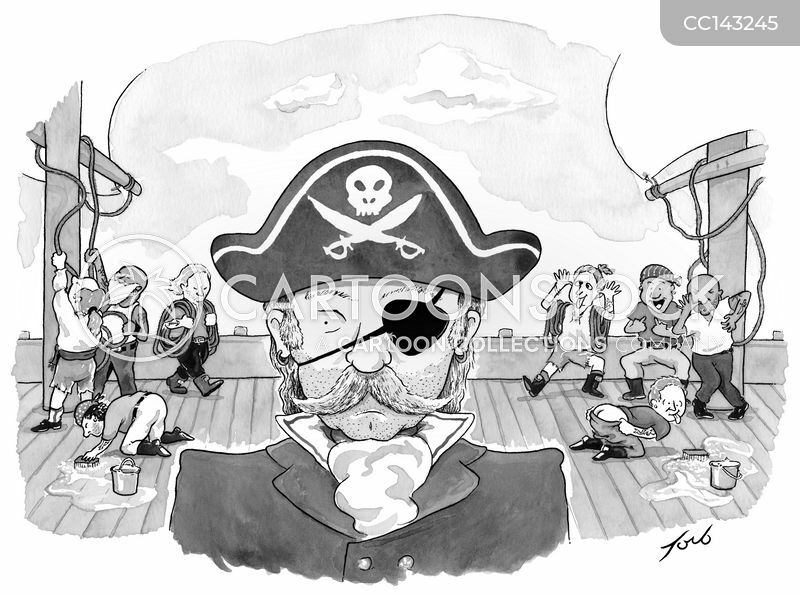 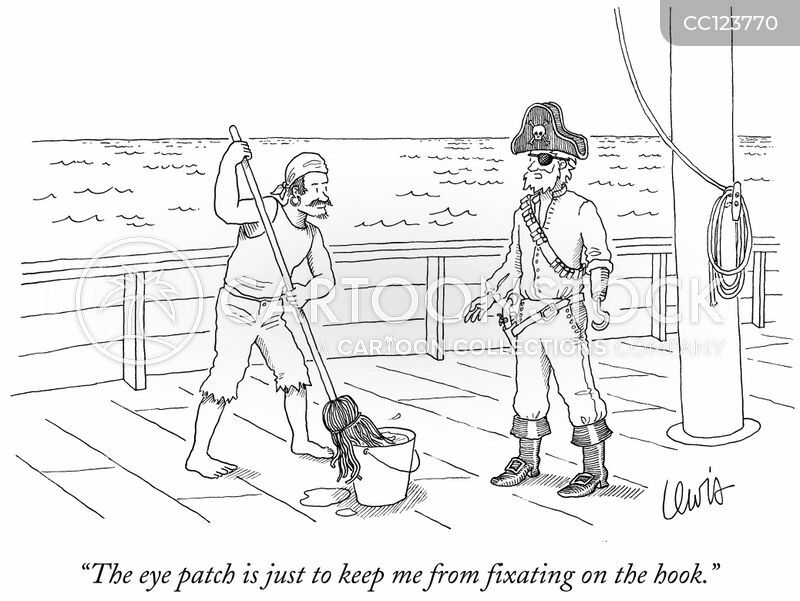 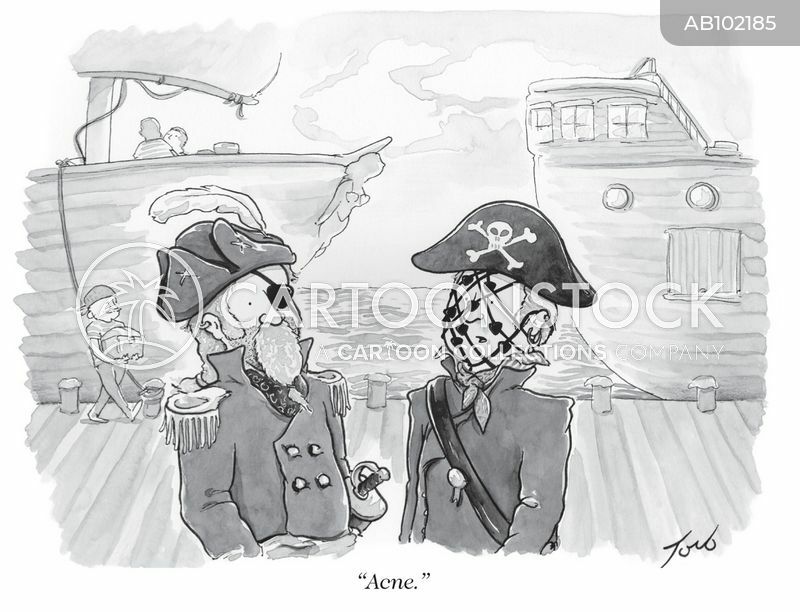 "The eye patch is just to keep me from fixating on the hook." 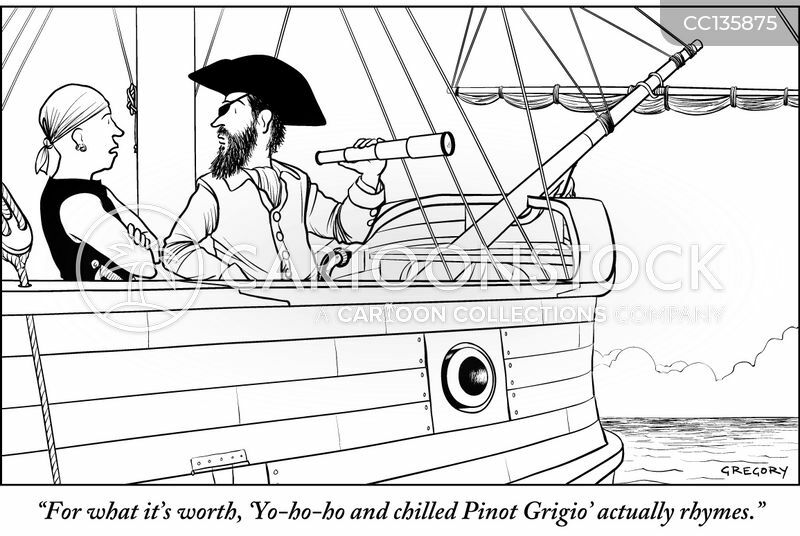 "For what it's worth, 'Yo-ho-ho and chilled Pinot Grigio' actually rhymes." 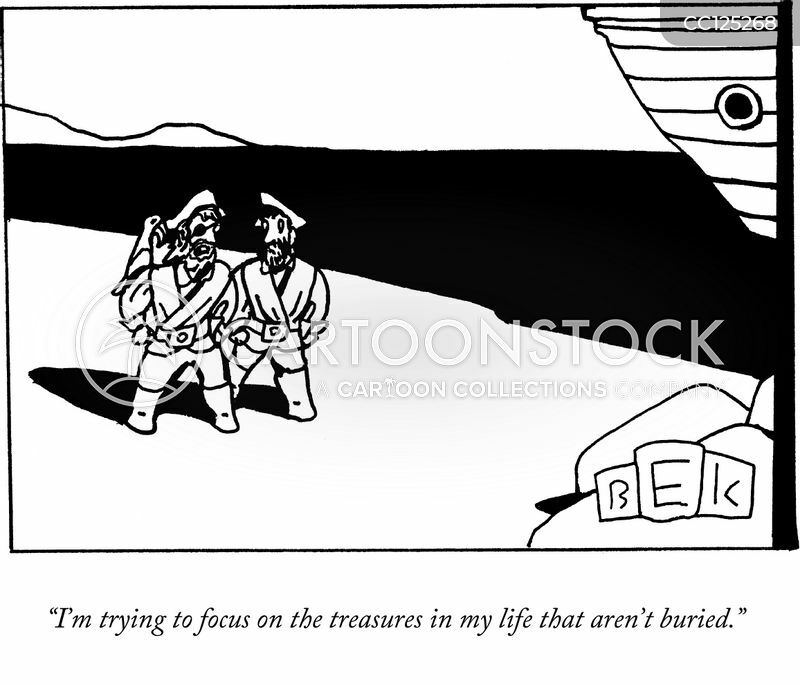 "I'm trying to focus on the treasures in my life that aren't buried." 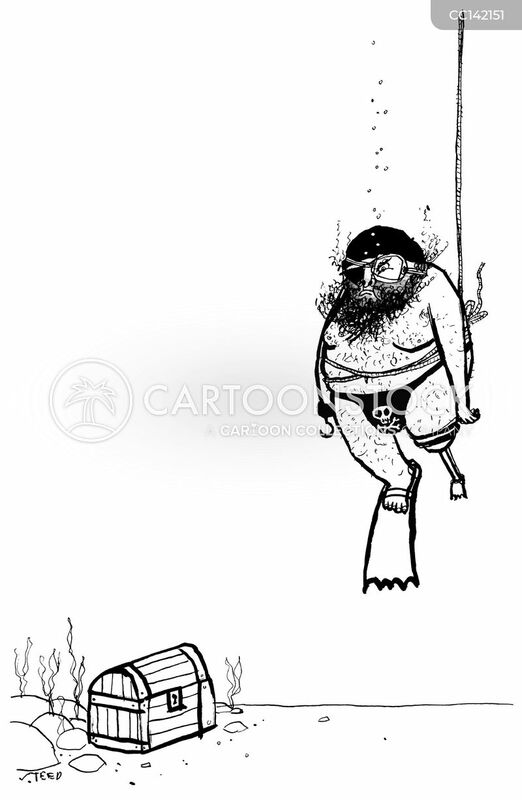 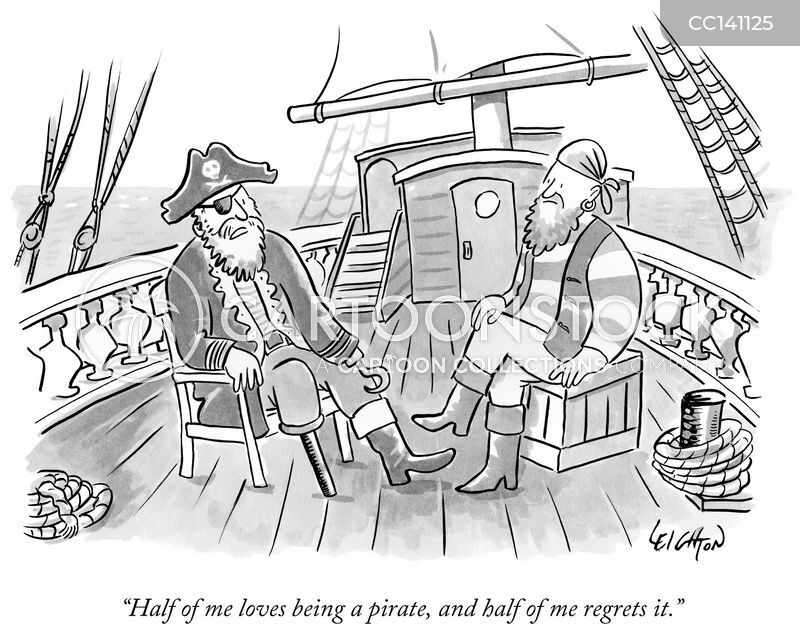 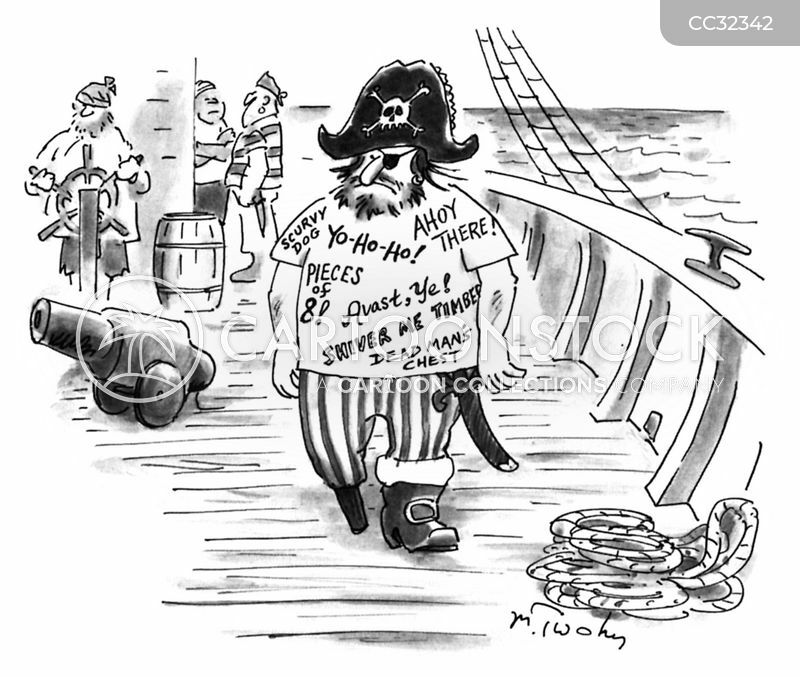 "Half of me loves being a pirate, and half of me regrets it." 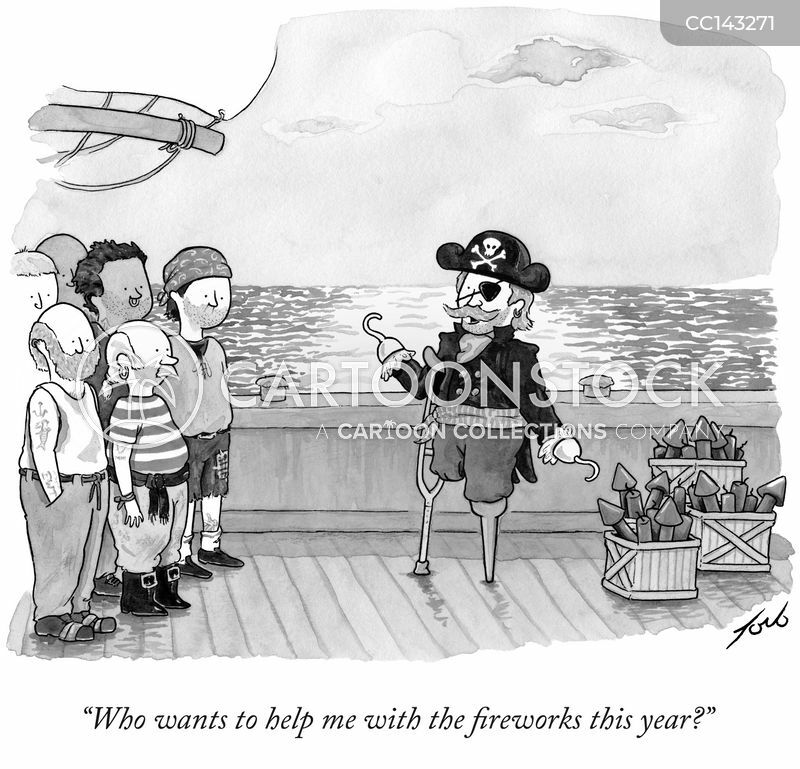 "Who wants to help me with the fireworks this year?"